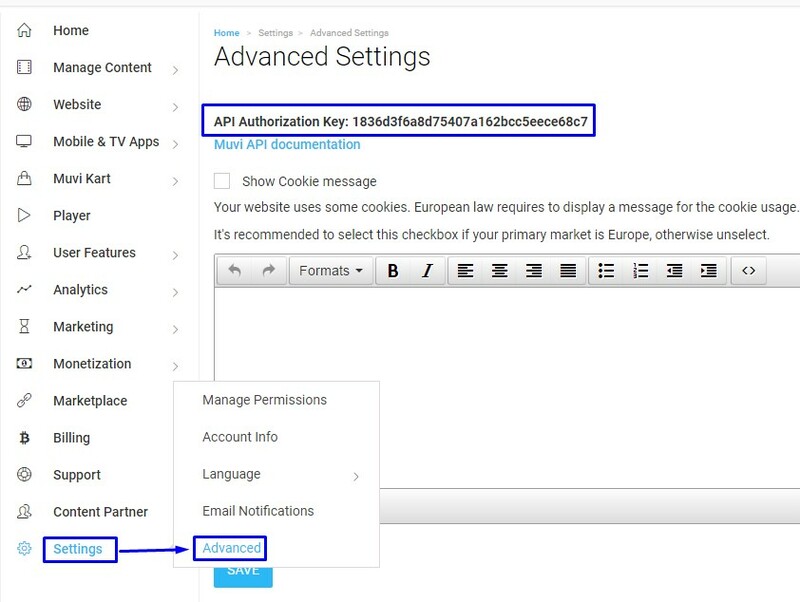 Please go to "Settings" --> "Advanced" in your CMS page to see your API authorization key. Note: API Key will be visible only to paid subscribers. Click on Muvi API documentation to read all related documents on API.